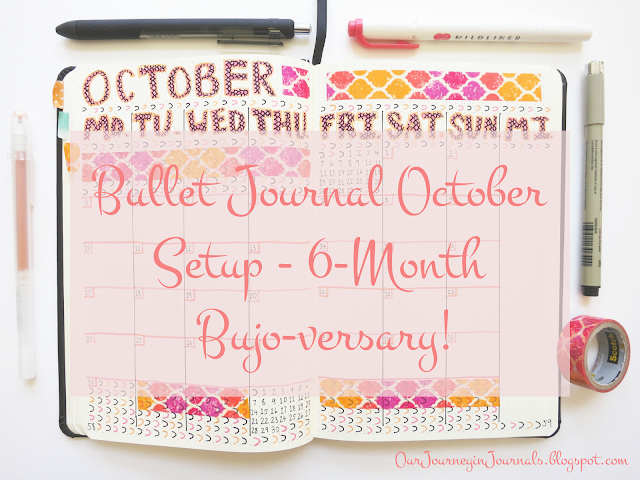 This is kind of a special milestone for my bujo-ing career; as of October 1st, I will have been using the bullet journal system for six whole months. I'm pretty happy about this! 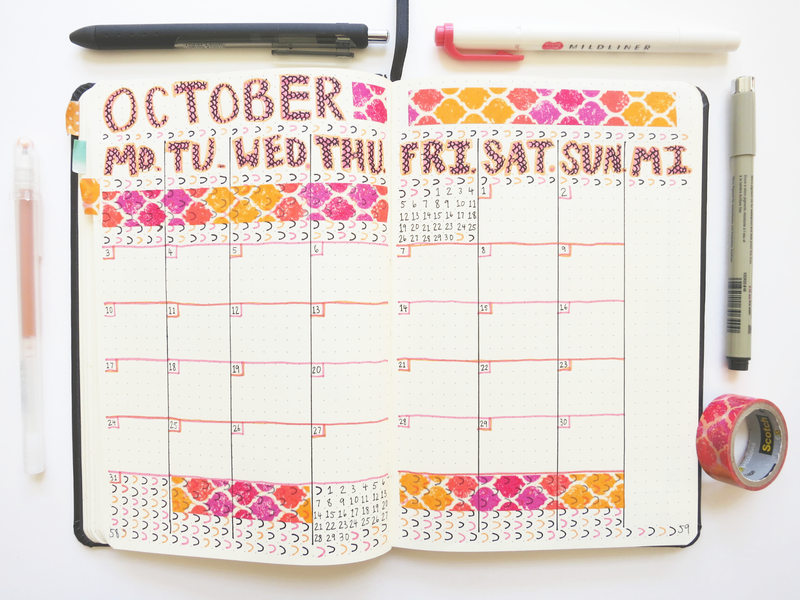 This setup for October is the seventh time I'm setting up for the month, and quite a few things have changed since I first started using a bullet journal. Stay tuned next week for a post all about how my system has developed over these past six months! But I digress; here is my setup for October! First off, here is September's monthly spread near the end of the month. I had a couple of changes for this month's (October's) spread, but they were mostly for aesthetic reasons rather than functional. For October, I went with the colors red, orange, and black in order to sort of emulate a fall-theme. 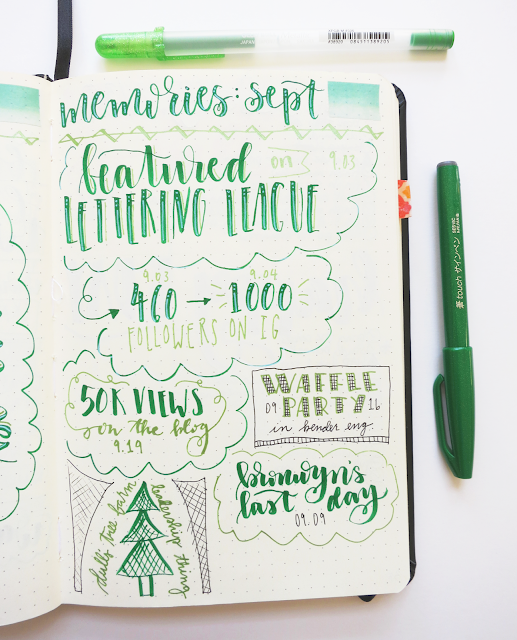 Along with changing the color scheme each month in my bullet journal, I also change the lettering style. This month's is supposed to be kind of creepy to go with Halloween (which is what I was going for with the black "scales"). Also, October was really annoying to setup because it takes up six lines, regardless if you have a Monday start or a Sunday start. To make up for this, I had to make each week shorter by one space. It's kind of annoying, but eh - what can you do. As always, my next two layouts for the rest of the month's setup are a habit tracker and a memories page. The October tracker is pretty much exactly the same as September's (just with different colors), so I was able to draw this spread out quite well. 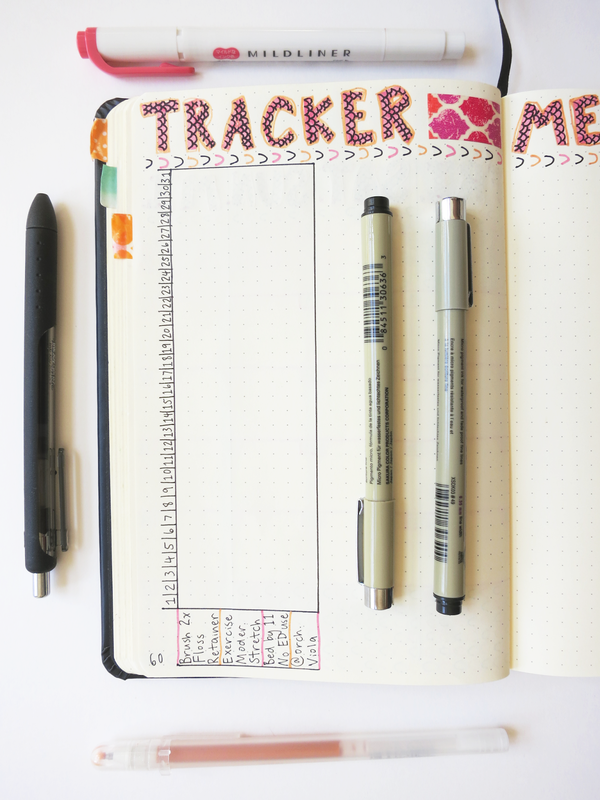 Every month that I've used this Rhodia Webnotebook, I have had a huge empty space at the bottom of the tracker. So far, I've just filled it up with calligraphy sometime during the month. I prefer doing this later rather than doing it at the beginning of the month while I'm setting everything else up, since it shows what I was thinking about during the course of that month. Like I've stated many times before, one of my favorite spreads in my bujo is this memories page. It's a great way to combine memory-keeping with lettering or art. This month specifically was exceptional for Our Journey in Journals for two reasons: the blog reached 50,000 pageviews, and the Instagram account reached 1000 followers after this picture on how to do faux calligraphy (which came from this blog post on the topic) was featured on the Lettering League account. 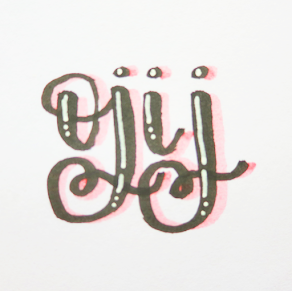 Thank you so much to all of the people that read this blog and support my Instagram! I can't wait to see what sort of memories October will bring! So that was my bullet journal setup for October; I hope you enjoyed it! 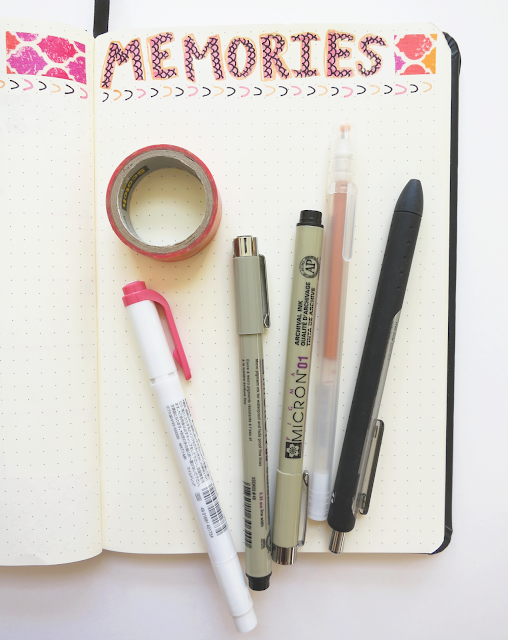 Like I said, stay tuned for next week's post on how my bujo has changed throughout these past six months of using it. Click here for last month's (September) setup, and click here for next month's (November) setup. How was your setup for October? What things changed or stayed the same?